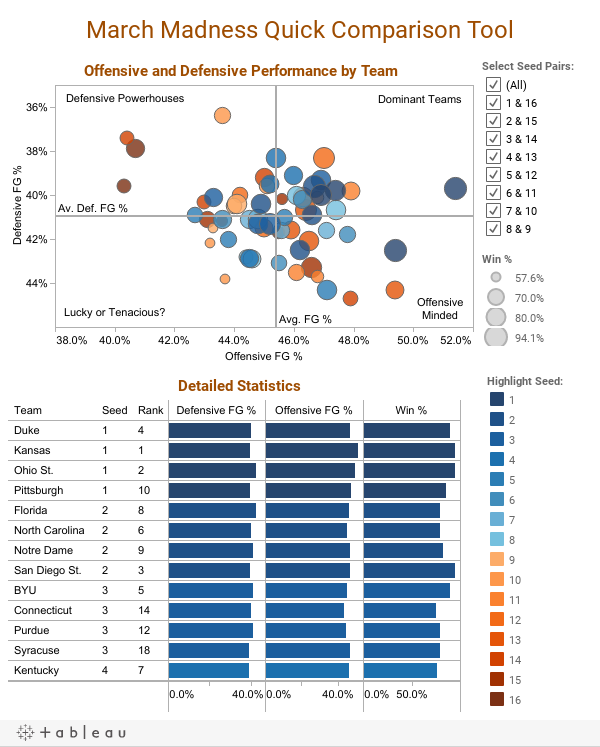 March Madness is here, and as everyone settles down to watch their team battle towards the Sweet 16, Elite 8 and Final Four, we thought it would be a good time to revisit our Comparison Tool from last year. You can select a seed pair with the filter on the top right to view only those teams that will play each other (for all of the divisions). Also make sure to click the tab at the top to look back at 2010! 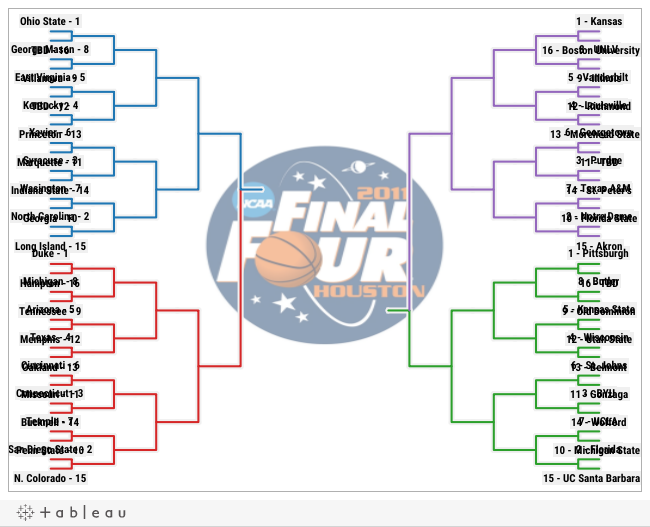 In case you do not follow college basketball too closely, below you can see "Tab-racket" made by Wilson Po of our Product Consulting team. You can use it to see what games are coming up. Updates to follow!